The official CES 2013 website has given us a helping hand by revealing the ZTE Grand S smartphone, which is set to be the firm's flagship device. 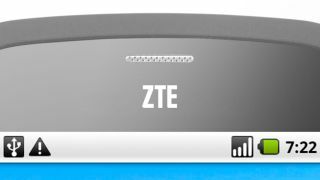 Only yesterday we reported that ZTE's global chief design director had confirmed the Chinese manufacturer would launch a high-end handset at the Las Vegas-based show in January – and we now know what the device will be called. Take a gander at the Exhibitor Press Events Schedule for Tuesday and at 1.30pm PST you'll notice the "Introducing the ZTE Grand S" event. Click through to the event details and we're given some more clues as to what we can expect from the Grand S, including an impressive display and slender frame. "ZTE's first FHD smartphone is also the world's thinnest for 5-inch FHD smartphones. "Made of ceramic and featuring traditional Chinese style, the Grand S is the perfect phone for the fashionable set." There has been a host of rumours surrounding various manufacturers working on 5-inch devices to challenge the popular Samsung Galaxy Note 2, and HTC has already officially unveiled its J Butterfly/Droid DNA/Butterfly around the world with a variety of names to keep us all on our toes. We've contacted ZTE to see if we can find out any more details on the Grand S, but rest assured we'll get the full lowdown on the handset live from the show in January.